FACT #37: The IRS has now admitted that it has been targeting Americans for punishing audits and investigations because of their political views and affiliations. Specifically, the IRS admits it targeted organizations with the words “Tea Party,” “patriot,” “liberty,” “Christian,” and “teach the Constitution” for audits and investigation. FACT #38: The IRS audited and targeted more than 500 Tea Party, conservative, Christian, and pro-Israel organizations. FACT #39: Quickly after he endorsed Mitt Romney for President, the IRS audited the ministries of Reverend Billy Graham and his son Reverend Franklin Graham’s. The Graham ministries had never before been audited. FACT #40: The IRS also targeted many (we don’t yet know how many) conservative churches for punishing audits and investigations. The IRS demanded to read the prayers of conservative churches. The IRS also demanded copies of church membership lists. FACT #41: The author of The ObamaCare Survival Guide, journalist Wayne Allyn Root, reports that he was audited by the IRS soon after his book became a national bestseller. Mr. Root (a former classmate of Obama’s at Columbia) also reports that he has personally spoken with 15 donors to the Mitt Romney campaign who were audited within 90 days of making their donations. FACT #42: The IRS audited reporters and news anchors who the Obama campaign did not like. FACT #43: The IRS targeted conservative and Christian and conservative college-age interns who were taking courses on the Constitution and American history. FACT #44: Sarah Hall Ingram, the head of the IRS division that was conducting these audits of conservatives and conservative organizations, has been promoted to run the IRS office that charged with enforcing the ObamaCare mandates. FACT #45: The day after conservative Christian O’Donnell announced she was considering running for U.S. Senate, her federal tax records were accessed by Maryland government officials. FACT #46: The Obama campaign accused some of the larger donors to Mitt Romney’s presidential campaign of not paying their taxes and accused them of engaging in shady activities — an obvious effort by Team Obama to intimidate Romney’s donors into not donating to Romney, thus illustrating how the government can use the world’s most brutal collection agency as also the world’s most powerful opposition research operation. 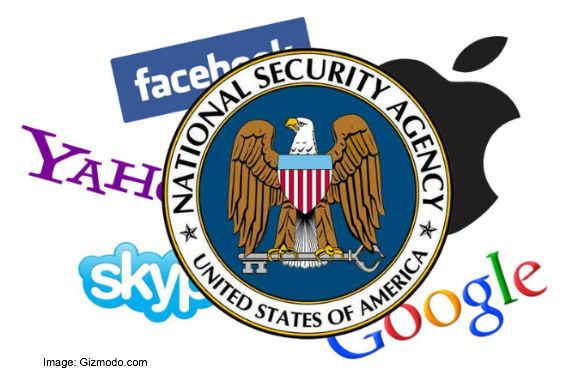 FACT #47: Google, Yahoo, Microsoft, Apple, Verizon, ATT, Cisco systems, and America’s largest corporations are getting rich, in part, by helping the U.S. government quickly build the surveillance state. We know already that Yahoo! worked closely with China’s regime to help round up China’s anti-government dissidents. China told Yahoo! it would be banned from China if it didn’t provide the identities and locations of critics of the regime in Beijing. Yahoo! was eager to cooperate. Passengers leaning their head against the window will “hear” adverts “coming from inside the user’s head”, urging them to download the Sky Go app. The proposal involves using bone conduction technology, which is used in hearing aids, headphones and Google’s Glass headset, to pass sound to the inner ear via vibrations through the skull. A video for the Talking Window campaign released by Sky Deutschland and ad agency BBDO Germany states: “Tired commuters often rest their heads against windows. Suddenly a voice inside their head is talking to them. No one else can hear this message.” Passengers leaning their head against the window will “hear” adverts “coming from inside the user’s head”, urging them to download the Sky Go app. Now imagine the potential for political ads — if people can’t quite tell the difference between our own thoughts and what our President is telling us. Technology like this would have been a dream come true for Adolf Hitler and his master propagandist Joseph Goebbels. This is the “Brave New World” we’re heading for. It’s the world we’re already living in. This is what a soft tyranny looks like. We are being controlled by the most sophisticated mass-control tools ever devised — that become more sophisticated everyday. Of course, a “soft tyranny” can quickly become a hard tyranny . . . and usually does. Can this Pandora’s Box of horrors ever be shut? Frankly, I don’t see how.